Note: in the “Going sugar-free” series, when saying “sugar”, I am referring to “table sugar” also known as “sucrose”, extracted from sugarcane or beet sugar. 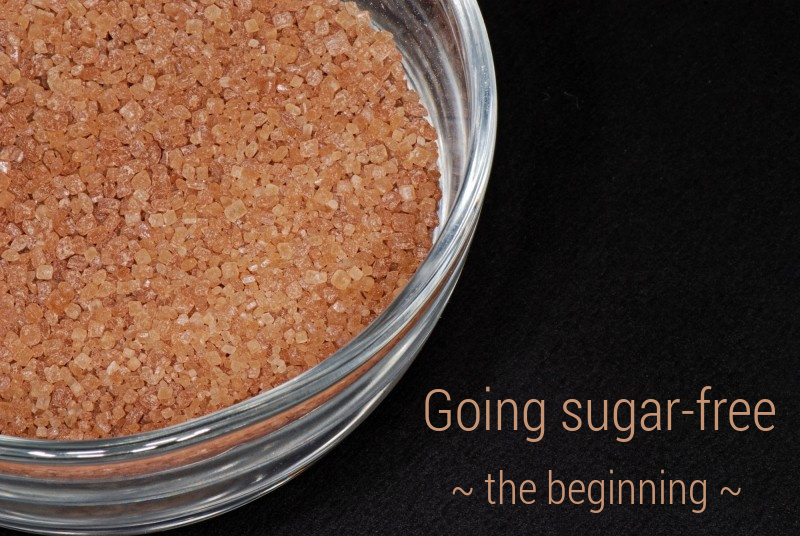 Cutting sugar off our everyday diet is still a challenge. We have no medical condition that forces us to do so though. Then how come we made this decision? Let me start by saying that it was a sudden decision and it all started with a book. About eight years ago I started reducing the amount of salt in my diet, replacing salt with mixed herbs. Then, after becoming a mum four years ago and reading books about baby weaning, I decided to avoid, as much as possible, giving sugar to my kids just because I considered it to be “calories without other nutrients”. Therefore, every time I cooked, I avoided sugar or replaced it with banana, dates or honey. 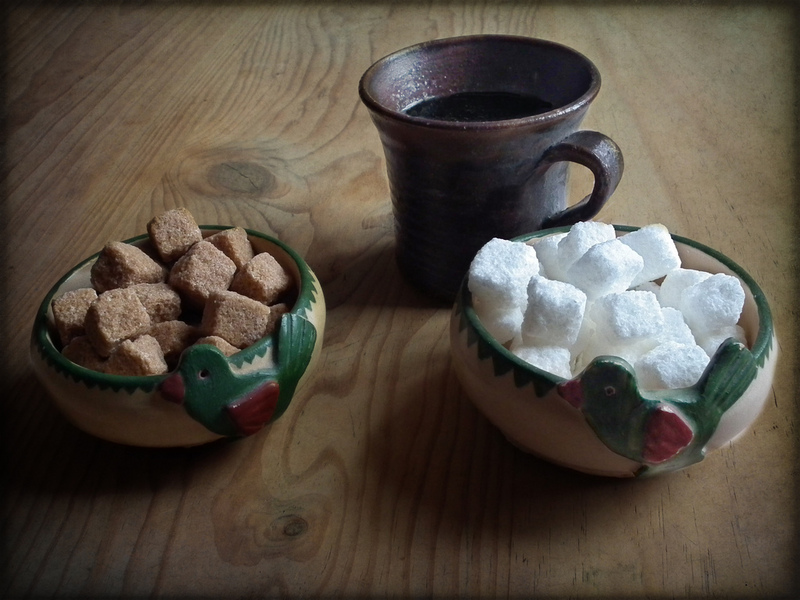 We only had sugar in our cupboard because we used it for our daily cup of coffee (Can you imagine surviving motherhood without coffee? As I can’t!). Then one Sunday we found ourselves in a lovely charity bookshop in Angel/Islington area (north London) when I noticed a book on a shelf. The title read “Human Nutrition“. Seemed like a serious book, not just a booklet about eating healthy. Opening it, on the first page I could read that it was edited by Catherine A Geissler, “Emerita Professor of Human Nutrition, Nutritional Sciences Division, King’s College London” and “Director, Health Sciences and Practice Subject Centre, Higher Education Academy, London, UK” and Hillary J Powers, “Professor of Nutritional Biochemistry and Head of Human Nutrition Unit, Faculty of Medicine, Dentistry and Health Sciences, University of Sheffield, Sheffield, UK”. And the list of contributors is long. 3 pages long. I immediately decided to buy the book. As soon as I had arrived home I started randomly reading from it. And I also opened the book at page 499, Chapter 25 called “Dental diseases”. And this is how I found out some very interesting facts. I will summarize them below, but please note that these are just some main ideas that are relevant to my story, the chapter in the book is long and full of useful and documented information. The key point here is that “In developing countries, where sugars intake has increased/is increasing, the prevalence of decay has increased/is increasing”. There are mentioned several studies that sustain this idea, from which I will mention one, just so we all get the picture. Routtinen et al (2004) monitored dental caries and diet from birth to age 10 years and found that kids with the highest intake of sucrose (table sugar) had a significantly higher lever of dental caries compared with those with the lowest sucrose consumption. Actually, those with the highest intake had twice as much dental caries as those with the lowest intake. 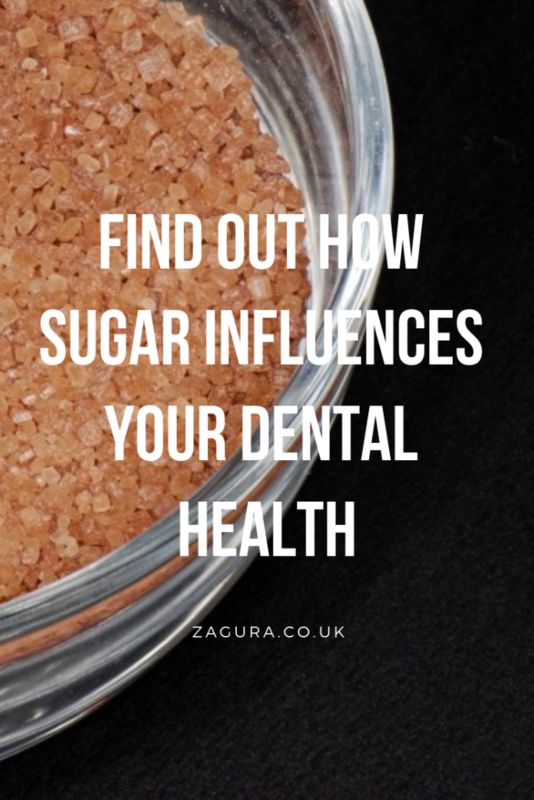 Experiments on rats show that there is a strong link between the number of dental caries and the frequency of sugar intake: when the rats were offered sugar 12 times/day, there were 0.7 carious fissures/rat. When other rats were offered sugar 30 times per day, there were 4.7 carious fissures/rat. Interestingly, the daily amount of sugar intake was the same, despite the frequency. dried fruits can contain high amounts of sucrose if they are infused in sweeteners or if they are candied fruits. Otherwise, the “conventional” dried fruits are just fruits with the water in them evaporated and, for example, raisins contain no sucrose (source)! As for fruit juice, it contains ‘extrinsic sugars’ and fruit acids and could pose a threat to dental health. This information was life changing for me. 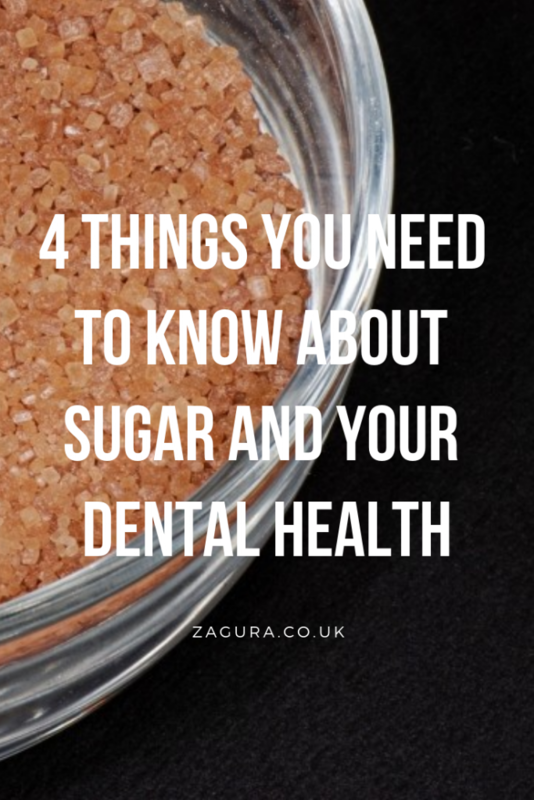 It was at this moment that I realized how sugar can affect the oral health and why sugar as in “table sugar” is more harmful than any other type of sugar: because it is the only one that actually sticks to the teeth and creates a wonderful environment in which harmful bacteria thrive! This was the moment I decided to go sugar-free. 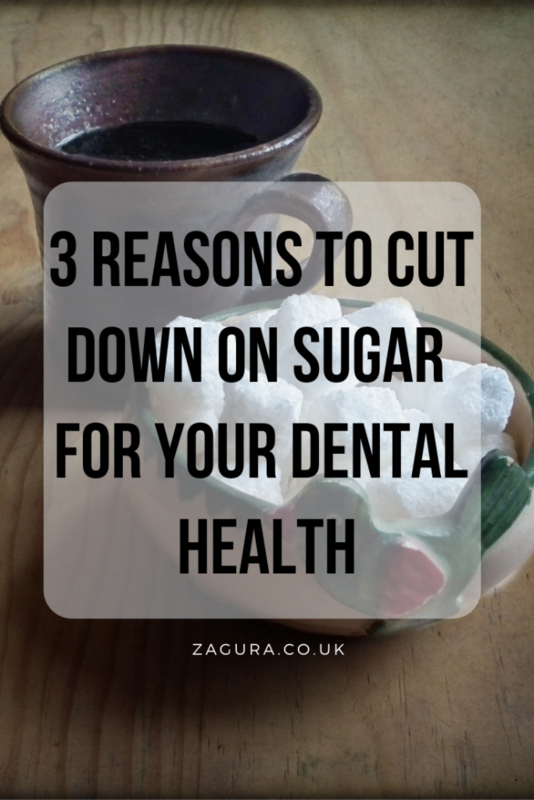 Consequently, to sum it all up, we gave up sugar/sucrose because we were concerned with the future of our (and our kids) dental health and this is the only aspect that we took into consideration when we made other related decisions like what sugar substitutes to use. In the following posts of this series I will tell you how things went from here, what substitutes I decided to use, how I changed my cooking style and how I even managed to throw a sugar-free party for my 4-year old boy. So stick around! Note: this post contains links to the sources of the information presented here and one affiliate link on the book’s title, in case you want to take a look at/purchase the book. A little organic cane sugar now and again is alright, that’s about all I use – er I mean my Mom uses in cookies and other goodies. No white refined sugar! That’s the bad stuff indeed. what this does to the bodies natural balances is quite extraordinary. Not to mention all of the food preservatives, coloring’s, MSG, and so on and so forth… is it any wonder there is this mass Cancer epidemic afflicting Western societies with these diets? All substances that degrade the human immune system are potential causes of Cancer. Therefore there are an almost infinite number of “causes of cancer” in the modern world.